When Sanjay visited the Pandavas with the peace proposal from Dhritarashtra, Yudhistir asked for only five villages for the five brothers. But Duryodhan denied. 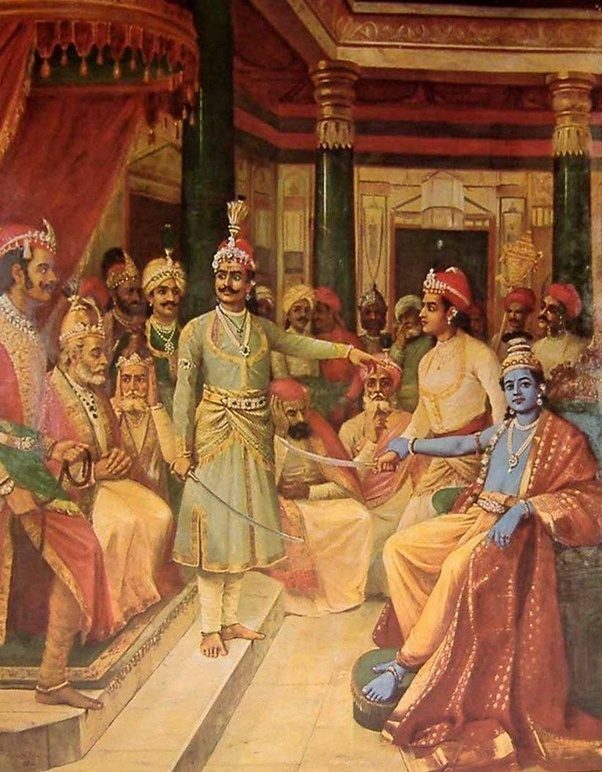 He said, he wouldn’t give the Pandavas even a spec of soil one could lift on a needle point. The Pandavas sought the help of their friend, philosopher and guide, Krishna. 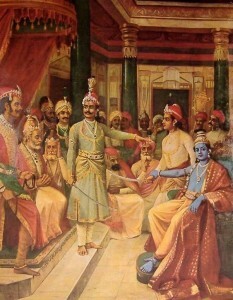 Krishna agreed to give one last effort to broker a peace deal with the Kauravas. He decided to visit Hastinapur and try to talk some sense into Dhritarashtra and Duryodhan. But will he succeed in preventing the war? Listen to the rest by clicking the player below.